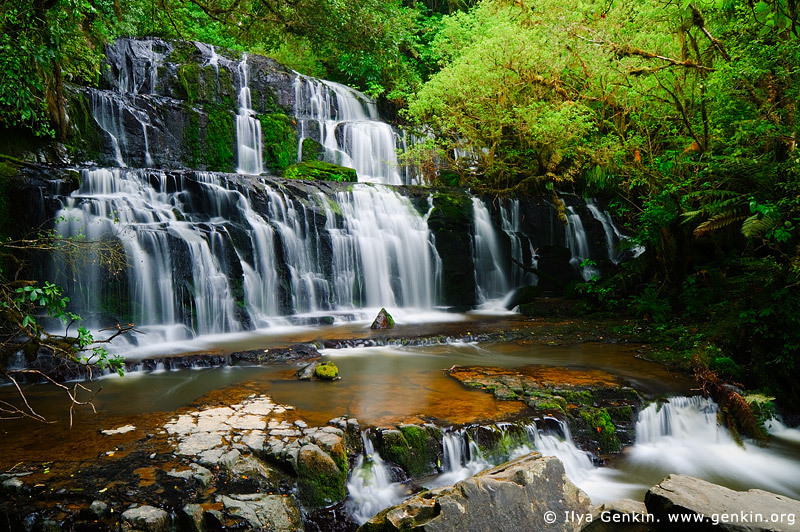 A breathtaking picture of the Purakaunui Falls at the Catlins, along the Southern Scenic Route on the South Island of New Zealand. This image id NZ-PURAKAUNUI-FALLS-0001 of Purakaunui Falls, is copyrighted © by Ilya Genkin. This is not a public domain image.